Heading into last Tuesday’s primary, the biggest question for the judicial contests here in Cook County was whether or not the emerging #MeToo movement would translate into a large boost for female candidates. Two weeks earlier, Texas held its first-in-the-nation 2018 primary, and female candidates as a group had their most successful primary in the state’s history. And with Cook County’s long record of pro-female voting in judicial contests, there was good reason to expect similar results here. The results do in fact show a solid pro-female vote—but not an exceptional one. And arguably the bigger story lies elsewhere. As I’ve done in the past for FWIW, I analyzed the results of last Tuesday’s primary using the statistical procedure that I developed for studying groups of nonpartisan or party-primary judicial contests. This time the analysis was less successful than in past years due to the smaller-than-usual number of candidates; the data set was not large enough to accurately measure all of the relevant variables. But combining the better of the statistical estimates with the more crude measure of raw tallies produces a reasonably complete picture of the major voting patterns. The pro-female vote was in the range of 18 percentage points. This is higher than the county’s historical average, but several points lower than in 2008 and 2016 when a female presidential candidate with local ties topped the Democratic ballot. Raw tallies support that figure: in the 24 Democratic contests between at least one female and at least one male, females won 17, a substantial but slightly lower proportion than in 2008 when females won 18 of 23 such contests and in 2016 when females won 14 of 18. While the gender vote was stronger than in most past primaries, at least two of the other traditionally influential factors were weaker. The results for Irish-named candidates suggest an advantage of no more than 7 percentage points countywide. This compares to the long-term average of roughly 11 points, a value that has been fairly consistent across primaries. Also slightly lower was the value of slating, for the second consecutive primary. Two years ago the advantage for slated countywide candidates was only around half of the historical average of roughly 10 pecentage points. This year its value was higher but no more than 8 points for countywide candidates. Including the subcircuits, candidates who were slated or held substantial endorsement advantages subcircuit-wide fared better than two years ago, winning at a 54 percent rate compared to 42 percent in 2016, but still below historical averages. Two factors that I could not adequately measure were ballot position and use of bar/newspaper recommendations. The first ballot position appeared to be worth roughly 4 percentage points (a lower number than in the recent past) but the data set was not large enough to be certain of this. Use of newspaper and bar ratings can be very difficult to measure in a single primary, in part because the various sources tend to agree with each other to an extent that can obscure analysis. The raw tallies suggest that their use in last week’s primary was at rates more or less consistent with long-term averages. Tribune-endorsed candidates won 20 of the 37 contests, a 54 percent rate compared to the twenty-year average of 57 percent. In the subset of contests in which the Chicago Bar Association rated a single candidate higher than the others, those candidates won 13 of 21 contests, a 62 percent rate versus the twenty-year average of 56 percent. For Chicago Council of Lawyers ratings, the subset numbers were 9 of 14 wins, a 64 percent rate versus the twenty-year average of 55 percent. None of the three percentages differ from the twenty-year averages by a statistically significant margin. (Also, the twenty-year averages for bar ratings include several primaries in which the Sun-Times did not emphasize bar ratings as it did this year but instead endorsed candidates itself). Historically the value of holding both major newspaper endorsements and the highest bar ratings in a contest has been in the 10-12 point range, and nothing in the evidence suggests a substantial shift from that range in 2018. The one other historically important variable is campaign spending, which in the subcircuits can play a major role. Unfortunately, campaign spending numbers won’t be complete and publicly available for some time yet. So the matter will be left for a future FWIW post. All of these factors aside, what may be the most significant aspect of the 2018 primary is the strong showing by Hispanic candidates. Certain Hispanic candidates have done well in some previous primaries, but in this primary not only did Hispanic-surnamed candidates win contests in four different subcircuits, including the groundbreaking result in the 14th, but there also was a very strong vote for the lone Hispanic candidate running countywide. Notably, these results are also consistent with a previous FWIW post pointing out an increase in the proportion of registered voters among the county’s population. This is entirely speculative but if recent political events have spurred more Hispanic residents to vote for the first time, a stronger showing by Hispanic candidates would be expected. Finally, let’s dispel a couple of misconceptions about factors that were not important. First, it is not the case that voter dropoff for the judicial contests was unusually low this primary after increasing in recent years. In fact, dropoff has been steadily falling over the years, as the chart below illustrates, and was not abnormally high or low this time. And second, voter turnout was not exceptionally high. Turnout in primaries is driven by interest in and competitiveness of contests at the top of the ballot. This year’s primary, with competitive gubernatorial contests in both parties, is most comparable to those of 2002 and 2010. Cook County turnout in those primaries was 36.4% and 26.3%, respectively, so this year’s turnout of 30.0% was not out of the ordinary. As I pointed out recently, last Tuesday’s primary was the first since the 1992 debut of subcircuit elections in which every contest on both party ballots included at least one candidate rated “Qualified” or higher by both the CBA and CCL. But in the end, that milestone may be less remembered than the potentially game-changing emergence of the strong pro-Hispanic vote. Unfortunately there have not been enough Hispanic candidates in previous primaries to do a more through examination of voting patterns here. But that will likely change in the very near future. The following was received from attorney Brendan Shiller as an email. With the consent of Mr. Shiller, it is reprinted here as a guest post. Please note that that I have corrected yesterday's post to delete the incorrect assertion I made about John Preston that Mr. Shiller points out below. I apologize for the error. A couple of people forwarded your blog post regarding the Judicial Accountability PAC to me. First, let me say the the whole post was generally accurate and mostly fair. We do have an honest disagreement about what is appropriate in judicial elections. I think we have created a hybrid democratic process for judicial elections that results in a huge disservice to the voter and therefore to our justice system. By both not allowing judicial candidates to speak on issues and by not allowing the same type of negative campaigning that we allow for all other elected offices, we deprive voters of important information. I of course understand the principal of not wanting to undermine the integrity of the judiciary. But, if we are going to have elected judges, then we need to allow all of the means of communication and debate (vagaries and all) that are generally allowed in democratic elections. It is my hope that going forward the Judicial Accountability PAC and other PACs will fill this void and provide more information and more energy in judicial elections. As for your specific argument that the PAC crossed some type of bright line by making an argument against a candidate because of who she represented, I think there is an honest disagreement here. I have spent a career suing cops and representing the criminally accused. If I ever choose to run for any elected office (i.e. Alderman, Governor, State Senate, etc. ), I can guarantee you that such representation would be used in attacks against me (if I were a legitimate candidate that had a chance of winning). And, it would be completely fair. I chose to be a civil rights attorney and a criminal defense attorney. That all people have a right to representation does not in anyway diminish the argument that attorneys choose what type of law they engage in and who they represent and that these choices reflect a certain bias and perspective on the world that may carry over to the bench. Further, this history of representation is even more important (even more probative to use the evidentiary standard) to voting given that our rules prevent candidates from discussing their position on most issues and most controversies they will be judging. There was absolutely nothing illegal or unethical about the activities of the Judicial Accountability PAC in the Navarro/Golden campaign. This cannot be said of the activity in the Beach/Webber campaign where there were clear campaign finance violations. Once the PAC's quarterly report is filed, 100 percent of all donations and expenditures will be made public. And over the course of this summer, hopefully as the PAC adds hundreds of attorneys members, and creates a full board and bylaws, all of its future actions will be democratic and transparent. This is how we want democracy to work. Without vehicles such as this PAC there will continue to be negativity shrouded in secrecy such as the Webber mailing against Beach that is both unethical and illegal. Lastly, and most importantly, there was one specific factual inaccuracy in your blog. The John Preston that is the chairman of the PAC is actually a different John Preston than the one I represented in a civil rights case several years ago. I know that's a weird coincidence, but I happen to know multiple John Prestons. The John Preston that is the chairman is fairly well known in certain small activist circles and is about three times as old as the John Present that sued CPD. Thank you for all the work that you do. I am a big fan. Was this election cycle rougher than previous ones? Updated March 28, 2018 to correct factual error. I was going to go off on a rant about how, with the best of intentions, trying to obtain heightened public interest in Cook County judicial races, we have 'let the Snake in the Garden.' The infamous 'poser' video was to be Exhibit A. And then I took a breath. But I had long maintained that judicial elections were different than elections for alderman or state representative. Different and better: Judicial candidates were civil to one another -- for one thing, during the campaign the candidates often seemed to see more of each other -- including their opponents -- than they did their own families. So there was a kind of Stockholm Syndrome that took hold. Also, the lawyers campaigning for judge were going to be in court, one way or another, when the dust from the campaign settled, and one might wind up appearing in a case before one's former opponent. As a purely practical, selfish matter, it was better not to create hard feelings during the campaign that would damage one's ability to practice afterwards. I first developed these impressions when I ran in 1994 and 1996. But I have seen further evidence of this candidate cordiality since I've been writing this blog. My favorite example dates to 2008, when a candidate emailed me about my very first set of Organizing the Data posts. I had made a transcription error concerning one of his opponents, he wrote. His opponent was not rated Qualified by whatever group, he continued; no, he said, she was actually rated Highly Qualified. Imagine that happening in a race for the General Assembly. During the election just concluded, after early voting began, one subcircuit candidate took to Facebook to complain about being hassled at an early voting site by one of her opponent's campaign workers. Her opponent promptly responded on the Facebook post, acknowledging responsibility for the errant campaign worker, repudiating his behavior, and advising that he had instructed the person in question to never do that again. I can certainly imagine a candidate for the General Assembly being hassled at an early voting site -- but I doubt if the opponent's reaction would have been as unequivocal. Or as credible. Even so, that's a degree of bad behavior that I've not associated with judicial campaigns. I blame money. Dr. Klumpp will eventually weigh in on this, I assume, but it's my perception that, with increased attention being paid to judicial campaigns, there is also an increase in spending on judicial campaigns. It isn't just friends and family and valued colleagues volunteering to pass out the candidate's literature: These days, a lot of candidates appear to be hiring help at all stages of the campaign, from petitions to election day. Many judicial candidates are engaging professional campaign consultants these days to help them run their campaigns. When I ran for judge, and even after I began covering judicial elections on this blog, I did not know that such creatures existed. I became aware of them only gradually. In part this was due to my naivete and ignorance, but it was also due, I think, to the fact that not as many campaigns employed consultants back in the day and to the fact that those consultants that were employed then tended to maintain a lower profile than many judicial campaign consultants do now. 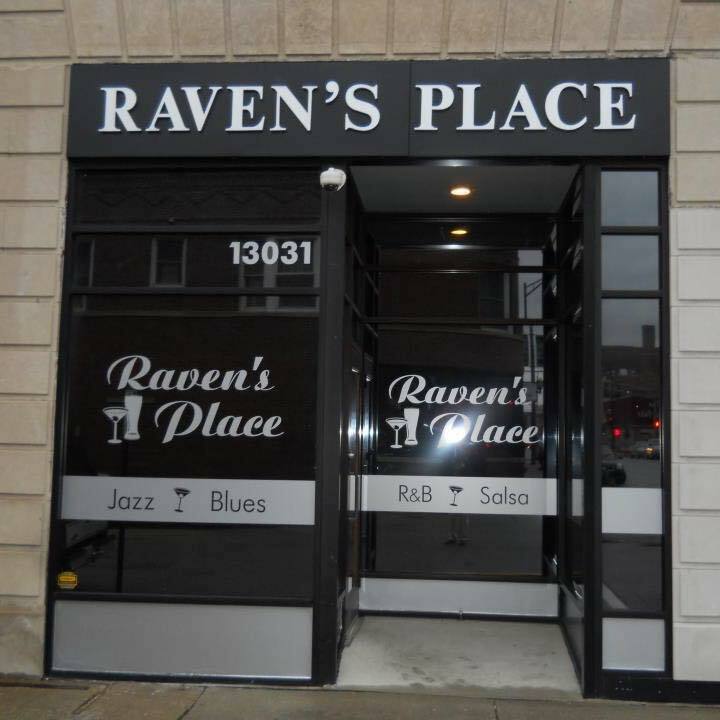 Some campaign consultants have come into the judicial candidate consulting business after successfully promoting aldermanic or legislative candidates. And they bring their 'tricks of the trade' with them. If you look at this for a nanosecond, you will see that Judge Beach was 'accused' of challenging the assessment on his home -- you know, a perfectly legal thing to do. Politicians of all stripes offer seminars in how homeowners can make these challenges every single year. But, wait, there's 'more': A person interested in becoming a judge actually donated money to the Chairman of the Cook County Democratic Party. And....? I've never had the discretionary income available to donate money to politicians -- one of the many reasons why I'll never be a judge -- but Mr. Beach did have some shekels left in the till on occasion and allegedly employed them thusly. Which, by the way, is also an entirely legal thing to do. So good for him. But most voters wouldn't look at this piece for even long enough to think that through. On the way to the recycling bin, however, voters might absorb the sneering, nasty tone of the piece and think less favorably of Judge Beach. That's all that mattered to the sender. I don't pretend to know if this piece originated with another candidate's consultant. I make no assertion in this regard; I cast no aspersions. But it's a low tactic and one I'd not seen employed in a Circuit Court race heretofore. Hence, my hypothesis that this campaign was coarser than campaigns I'd covered heretofore. There are always outsiders trying to influence judicial elections; that's not new and it's not generally objectionable. I've been printing endorsements from this group, or that one, since I started covering this beat. Sometimes groups are formed solely for the purpose of influencing judicial elections. And that's OK, too. In this election cycle one such group was the Judicial Accountability PAC. Shiller, who has also managed election campaigns, including judicial campaigns, used Judicial Accountability PAC to support Judges Kent Delgado, Charlie Beach, and Stephanie Miller in their 6th Subcircuit campaigns and also Arthur Wesley Willis and Judges Fred Bates, Adrienne Davis, Toya Harvey, Travis Richardson, and Debra Seaton in their respective 2nd Subcircuit campaigns. Again, there is nothing wrong with forming a group to influence election results, and certainly nothing inherently wrong with supporting this candidate over that one. However, in the 4th Subcircuit, the Judicial Accountability PAC went negative in its support of Judge David Navarro and Attorney Martin Reggi. Judicial Accountability PAC sent some positive Navarro mailers, too, but my objection is to the one (which does not appear to be online anymore, of course) in which Navarro's opponent was blasted for having represented Jon Burge. (Among other areas of practice, Shiller's firm represents individuals in excessive force cases against police officers.) The implication of the Shiller-Judicial Accountability PAC piece was that Navarro's opponent was somehow in league with, and in sympathy with, police torturers. That crosses a big, bright line for me. Movie stereotypes notwithstanding, good lawyers represent their clients, they do not become them. Similarly, in a number of comments you never saw, a countywide candidate was castigated for her many years of working for a firm that has long and successfully represented a number of substandard carriers. (At least some of principals in the firm also owned one of those carriers, at least at one time.) And, granted, if you've ever had to deal with that firm, you probably have a horror story or two about your experiences. I do. But everyone, even a substandard insurance carrier or a police torturer, is entitled to zealous, but ethical, representation. And lawyers, of all people, should know better than to suggest otherwise. Just as lawyers should not be smeared for representing unpopular clients, judges should not be targeted solely on account of their assignments. Judge Navarro and Judge Stephanie Miller were among the judges assigned to the new Pretrial Division of the Circuit Court last September when it was set up to implement the Circuit Court's new affordable bail program. Whether you think the affordable bail plan good or bad, well-thought-out or in urgent need of refinement, it was obvious from the start that it would be controversial. And so it was, on Election Day, that Second City Cop tweeted support for Navarro's opponent because Navarro "has given WAY TOO MANY serious criminals super low bonds or signature bonds." It is one thing to criticize a judge for performing poorly in an assignment, for treating counsel or litigants shabbily, or for making intemperate or injudicious remarks -- but it is quite another to criticize a judge for implementing a program as per instructions. Particularly when the judges in question are new and unlikely to have had any serious input into how the program was rolled out. One group of candidates that did not apparently suffer in this election cycle on account of their job responsibilities were the several present or former Assistant Public Defenders (a dozen or more) who were successful in winning their primary elections. I don't know of any APDs who were the target of negative mailers in this election cycle because they took on the representation of persons accused of crimes, sometimes heinous, infamous crimes. No, on balance, I think there was more negative campaigning, more questionable tactics, and more badly-spent money, than in any judicial campaign I've covered previously. Perhaps you think differently. Perhaps you have further anecdotal support for my hypothesis -- or can recount events that undermine it. But... please... don't get personal in the comments. I want to print as many as I can. The Tribune reported yesterday that population has dropped in the Chicago area for a third consecutive year. Elvia Malagon writes that population has actually increased in some of the collar counties, but has not increased enough to offset the loss of population here in County Cook. What does that have to do with judges, you ask? Well, a few years back, when the 2010 census figures confirmed a significant population loss, the number of associate judge vacancies was immediately scaled back. Full circuit judges are creatures of statute, but the number of AJs in Cook County rises and falls with population. According to Malagon's story, Cook County lost 20,093 residents in 2017, more than 14,000 residents in 2016, and another 8,000 residents in 2015. That's a drop of 42,000 or so since 2014, right? On the other hand, there were 1,368,290 voters registered in Chicago for the 2014 Primary, according to the Chicago Board of Election's Official Summary Report of that election. There were 1,451,593 registered voters in the suburbs in that same year according to the County Clerk's Summary Report of the March 2014 General Primary Election. That adds up to 2,819,883 registered voters in Cook County in 2014. For this primary, according to the CBOE, there were 1,494,199 registered voters in the City of Chicago. The County Clerk says there were 1,549,688 registered voters in the suburbs for this election. That adds up to 3,043,887 voters in the county as a whole. The county's population dropped by 42,000 in the last four years and yet the voting rolls increased by 224,004. Ah, but you say, we've made it easier to register in recent years; we've made a great civic effort to make sure every eligible citizen is registered to vote. OK. That could account for some increase. Maybe. But, still, the trend lines seem remarkably different, aren't they? You wold expect (I would expect, anyway) that voter registration would be highest for a presidential election. In 2016, for the November election, the City of Chicago reported 1,570,529 registered voters; the County Clerk reported 1,512,190 voters. That's 3,082,719 voters, almost 40,000 more than were registered for this election just past. But even though more a higher percentage of registered voters came out in 2012 than in 2016, there were 280,000 fewer registered voters in 2012 than in 2016. And the population was dropping, right? Well, not necessarily. According to the U.S. Census Bureau, the population of Cook County has grown, albeit by only .2%, since 2010. In that year, according to the Census Bureau, Cook County had a population of 5,194,675. The Bureau now estimates the population of Cook County (as of July 1, 2017) to be 5,211,263 -- an increase -- but an increase of only 16,588. And the 5,211,263 population figure for 2017 is 16,312 less than the population figure for 2016 (5,227,575) on that site. And did you notice that none of these numbers are the same as those cited in the Tribune article? But, any way you slice it, Cook County's population did not go up 280,000 between 2012 and 2016. I'm not going to make any dramatic assertions based on this data, and I don't think any are warranted. But I sure would like some serious explanation as to how we can be losing residents and gaining voters at the same time. I'll be launching some queries today and I will update if I receive anything back. Much as I might prefer it otherwise, Cook County judicial elections are affected by other political races, and in multiple ways. Turnout has to be the biggest factor. And, whatever we learned in civics about it being the duty of every responsible citizen to vote in every election, voters only come out for marquee, hot-button races. You know, the kind of races political professionals hate. There’s a reason why primaries are scheduled so early – the political pros like it this way. Why? The vast majority of the great unwashed (that’s us, to the pros) aren’t thinking about November in March. We’re thinking about more immediate concerns, like paying the rent or mortgage for the coming month (or the current month!). Maybe we’re thinking as far ahead as Easter or Passover and who’s going where. Maybe we’re thinking about Opening Day. But we aren’t thinking about November. And most of us – the vast majority of us – don’t bother voting in primaries. The total number of ballots pulled for this primary, City and suburbs, Democrat, Republican, Green, and non-partisan, was 914,972. Of these, 774,666 Democratic ballots were voted. According to the Cook County Clerk, that means only 28.6% of the registered voters in the suburbs made it out to the polls. It was a little better in the City of Chicago, but not much: Only 31.52% of the voters bothered to take any sort of primary ballot. And even that meager turnout is anathema to the political professionals: The larger the turnout, the harder it is to control the results. Because, for the real political pros, results are all that matter – getting in, and staying in. In 2014, when we had our last gubernatorial primary, only 16.54% of the registered voters in the City of Chicago bothered to vote, according to the records of the Chicago Board of Elections. Only about 16% (15.99%) of the registered voters came out in the suburbs, according to the Cook County Clerk’s records. This year, Lipinski had a very vigorous challenge from Marie Newman. The 3rd District covers parts of Cook, DuPage and Will Counties. Lipinski lost in the Cook County suburbs, with Newman polling 24,488 votes to Lipinski’s 22,977. He lost in DuPage, 80 to 52. He also lost in Will County, 4,212 to 2,975. But Lipiski prevailed because he carried the City of Chicago, 21,846 to 16,839. But add that up: With similar turnouts city- and countywide, even with a strong challenger, Lipinski had only 10,000 fewer votes than he got in 2010 when he was unopposed. In other words, his challenger, who got 45,619 votes, brought out at least 35,000 ‘extra’ votes. Those extra votes might have been motivated by Newman’s strong union support – but there was likely a strong gender component at work there as well. That would have consequences in countywide judicial races and in subcircuits overlapping the 3rd Congressional District’s boundaries. In the 4th Congressional District, Luis Gutiérrez stepped aside at the last minute in favor of Chuy Garcia. Notwithstanding this passing of the baton, a whole bunch of wannabes jumped in, including a bunch of political pros... and then, one by one, all the political pros dropped out, leaving Garcia up against only Richard Gonzalez and Sol Flores. Like Lipinski, Gutiérrez was unopposed in 2010 – and he got 34,000 votes. The pros got out, each citing the overwhelming support they'd seen for Garcia. Cloaking Garcia with the mantle of inevitability should have tamped down voter turnout. But it does not seem to have worked: In 2018 there were a total of 74,620 votes cast between the City and suburbs in the 4th Congressional District. Garcia and (I would submit in particular) Flores brought out a lot of ‘extra’ voters – and Daniel Burke lost his 1st District House primary race – and Beatriz Frausto-Sandoval won her primary race in the 14th Judicial Subcircuit. In 2010, Toni Preckwinkle needed 281,905 votes (out of 575,483 votes cast) to unseat Todd Stroger and fend off Terry O’Brien and Dorothy Brown. This year, Preckwinkle got 249,180 votes in the City alone, and another 183,338 in the suburbs, in defeating Bob Fioretti. The total number of votes cast in this race, however, was 713,158 – over 100,000 ‘extra’ votes over 2010. In 2010, when Joseph Berrios first won nomination to be Cook County Assessor, he won 203,397 votes, out of 519,716 cast. This year, in losing, Berrios polled 237,992 votes – but there were 700,841 votes cast in this race. These are ‘down ballot’ races. Historically, there is an increasing drop-off between the top of the ballot, where the would-be governors and senators and presidents are, and the very bottom of the ballot, where the judges are. When the sharp-pencil crowd finishes looking at these numbers, I suspect they’ll find less drop-off than usual between the top of the ballot and these county races. That would mean that extra people came out looking to vote in these races – and if they went that far down the ballot, more voters than usual may have kept right on going into the judicial races. Moreover, while 2018 is being compared to 2010 by election authorities, there were only 761,626 total ballots voted in Cook County – City and suburbs – in 2010. That’s just about the number of Democratic ballots alone in 2018 – 774,666 Democratic ballots out of 914,972 total. So that’s about 150,000 ‘extra’ Democratic voters in 2018 over 2010. Who were these voters? How did they impact judicial races? In the modern age, political professionals have enormous amounts of data about us proles. They not only know if we vote, in many cases they can accurately predict how we’ll vote if we can be bothered to come out. And, if they’re worried about whether we’ll do what they want, they’d just as soon we stayed home, thank you. But that’s for a subsequent post. The third time proved the charm for Gary W. Seyring. After falling short in the 2014 and 2016 primaries, Seyring won his race tonight for the Crane vacancy, besting Susanne Groebner 10,806 to 7,698. Seyring will now face former Judge Ketki "Kay" Steffen in November. Steffen was unopposed in the Democratic primary for this vacancy. In the race for the Lawrence vacancy, Daniel Patrick Fitzgerald handily defeated appointed Judge Michael Perry Gerber. Fitzgerald will now face Shannon P. O'Malley, the Democratic nominee. O'Malley began his legal career sub nomine Philip Spiwak. Christine Svenson was unopposed for the Republican nomination for the O'Donnell vacancy. She will face Judge Samuel Betar III in November. Betar was likewise unopposed for the Democratic nomination. A November contest appears set between Democrat Joel Chupack and Republican David Studenroth in the race for the Maki vacancy in the 12th Subcircuit. Studenroth handily won his primary race over Alan M. Jacob. Chupack bested Carmine Trombetta and Thomas Raymond Molitor. Michael B. Barrett bested Ashonta Rice-Akiwowo in the race for the Scully, Jr. vacancy in the 15th Subcircuit. With 277 of 285 precincts reporting, Barrett leads 27,787 to 19,576. This must be vindication of a sort for Barrett: He lost a 2014 bid for a 15th Subcircuit vacancy by only 15 votes. In the race for the Zelezinski vacancy, Scott McKenna has apparently defeated Judge Anthony C. Swanagan. The margin at this point is 2,269 votes. Unlike most primary winners, however, McKenna must now face a November opponent: Karla Marie Fiaoni was unopposed in her bid for the Republican nomination for this vacancy. The Chicago Federation of Labor endorsement may have been pretty darn important: Assistant State’s Attorney Elizabeth Ciaccia-Lezza picked that up – and picked up an apparent victory over Judge John Andrew O’Meara in the race for the Riley vacancy in the 4th Subcircuit. Only 759 votes separate these two candidates, with Ciaccia-Lezza leading 13,270 to 12,511. There are still six precincts outstanding at this writing, but 97.5% of the votes have been posted. Martin D. Reggi and Danny Collins also sought this vacancy. In the race for the Davy vacancy, Judge David R. Navarro leads first-time candidate Caroline Jamieson Golden, 21,607 to 17,093. Two slated candidates got in without opposition, Rosa Maria Silva and Thomas F. McGuire. Slated candidates winning contested races are Judges Preston Jones Jr., Cecilia Anne Horan, Clare Joyce Quish, Peter Michael Gonzalez. Tom Sam Sianis appears to be eking out a victory over Timothy John Leeming and Corri Diane Fetman. In City returns, with 94.25% of the votes counted, Sianis has 115,658 votes, Fetman 100,108, and Leeming 98,959. In the suburbs, Sianis has 89,130 votes, just a few thousand more than Fetman’s 86,264 (Leeming had 80,745 votes in the suburbs). Jack Hagerty is leading Mable Taylor by 33,000 votes in City returns and by 54,000 votes in suburban returns. So eight slated candidates will apparently win. But two will not. Judge Oran F. Whiting has apparently fallen to Kathryn Maloney Vahey. With 93% of the City votes counted, Vahey leads 137,977 to 119,335. In the suburbs, Vahey leads 117,069 to 86,300. John Maher was the third candidate in this race. Slated candidate Jonathan Clark Green will fall to Kathaleen Theresa Lanahan. In City returns, Lanahan leads 114,686 to 89,325; in suburban returns, Lanahan is up 102,155 to 58,680. Michael I. O’Malley and Lori Ann Roper were also candidates in this race. Three appointed judges appear likely to win their respective 5th Subcircuit races. Judge H. Yvonne Coleman is leading Rhonda Sallee, Gino Betts, and Gwendolyn D. Anderson in the race for the Banks vacancy. Coleman has 10,773 votes with 91.55% of the votes counted; Sallee, Betts, and Anderson are all bunched together. Each garnered more than 7,000 votes. Judge Marian Emily Perkins has 12,140 votes in the race for the Jones vacancy. Jenetia Marshall and David L. Kelly have both polled more than 10,000 votes. Judge Robert Harris’s margin is significantly more comfortable. In the race for the Washington II vacancy, Harris has 18,586 votes, a nearly 10,000 vote margin over Shay Tyron Allen. Mary Alice Melchor was also in this race. Judge Joanne Rosado will hold her 11th Subcircuit seat, leading Scott J. Frankel by significant margins in both City and suburban returns. Judge Stephanie Saltouros is handily winning the race for the O’Neill Burke vacancy in the 10th Subcircuit. With 93.75% of the City votes counted, Saltouros leads Lorraine Murphy, her nearest competitor, 19,983 to 9,982. In the suburbs, with 58 of 61 precincts reporting, Saltouros leads Murphy 3,261 to 1,946. Gwyn E. Ward Brown was also a candidate in this race. Colleen Reardon Daly was slated for the 10th Subcircuit Suriano vacancy, but she was dumped recently by 45th Ward Ald. and Committeeman John Arena. Daly leads her nearest competitor, Judge Gerald Cleary, 19,141 to 5,903 in the City and 2,509 to 1,157 in suburban returns. Three appointed judges were slated in the 8th Subcircuit. 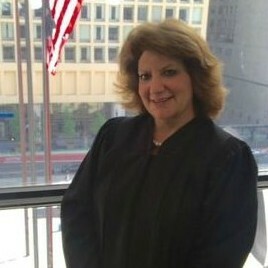 Judge Robin Denise Shoffner was slated for the Fabri vacancy. Judge Michael A. Forti was slated for the Liu vacancy. Judge Myron “Mike” Mackoff was slated for the Pethers vacancy. All appear to be going down to defeat. With 85.17% of the votes counted, it looks like former Judge James “Jamie” Shapiro will return to the bench, leading with 21,445 votes to Shoffner’s 12,384. Bonnie McGrath is third in the field of five candidates in this race. Lindsay Hugé has a 2,900 vote edge over Forti, 17,901 to 15,012. ASA (and former Luvabull) Athena A. Farmakis has polled over 12,000 votes in her first judicial campaign. Judge Jeanne Wrenn was appointed to a new 8th Subcircuit vacancy just last month. But she was already seeking the Pethers vacancy – and it appears that she has won this race, leading Mackoff 20,391 to 16,060. First-time judicial candidate Rishi Agrawal has polled 10,006 votes. The 14th Subcircuit does not typically have judicial contests. This year it did. Apparently, Chuy Garcia has coattails. Beatriz A. Frausto-Sandoval is leading Judge Marina E. Ammendola 11,031 to 8,179 with 91.22% of the City votes counted. Frausto-Sandoval also leads in the suburban portion of the 14th, with 2,611 votes to Ammendola’s 1,983 (34 of 37 suburban precincts reporting). Kevin Patrick Cunningham appears to be winning the race for the Delehanty vacancy in the 3rd Subcircuit. With nearly 90% of the votes counted in the suburbs, the lead is only 142 votes of Judge Patrick Thomas Stanton. However, with nearly 80% of the City vote counted, the margin is nearly 2,000. A third candidate, Michael Hayes, has pulled in nearly 31% of the vote in the City, and nearly 27% of the vote in the suburbs. With 84.62% of the votes counted, Judge Kent Delgado appears headed for a convincing victory in the race for the Chevere vacancy in the 6th Subcircuit. That may not be a surprise. But some may be surprised that Andrea Michelle Webber leads both Judge Charlie Beach and Edward J. Underhill in the race for the 6th Subcircuit Cooke vacancy. In this three-way race, Webber has 48.64% of the vote, with 15,396 votes to 9,789 for Beach. In the race for the Lopez Cepero vacancy, Judge Stephanie K. Miller trails Linda Perez by roughly 2,000 votes. Erica Orr leads Judge Litricia Payne in the race for the Hambright Jr. vacancy in the 1st Subcircuit. Orr leads by 1,309 votes in the City, and by 635 votes in Suburban returns. Tiana Ellis Blakely is comfortably ahead of Judge Fredrick H. Bates in the race for the Lampkin vacancy in the 2nd Subcircuit, leading by 4,155 votes in Suburban returns, and by 5,074 votes in the City. With just about 74% of the votes counted, Judge Travis Richardson is running 2,483 votes behind Ieshia Gray in the City of Chicago in the race for the Turner Jr. vacancy in the 2nd Subcircuit; with over 80% of the suburban votes counted, Gray leads Richardson there by 474 votes. Arthur Wesley Willis is ahead of former Judge Devlin Schoop by 1,781 votes in City returns and by 2,219 votes in the suburbs in the race for the Valarie Turner vacancy in the 2nd Subcircuit. On the other hand, Judges Adrienne E. Davis, Toya T. Harvey, and Debra A. Seaton all appear to be significantly ahead in their bids to hold the seats to which they were appointed (the 2nd Subcircuit Laws, Rhodes, and Willis vacancies). Harvey’s race is fairly close in the City, with Harvey enjoying only about a thousand vote margin over Tiesha L. Smith, but the margin is closer to 5,000 votes in the suburbs. With 78% of the suburban votes counted, and 73% of the City votes in, Peter Michael Gonzalez holds a fairly comfortable lead over former ASA Brian Terrence Sexton in the race for the countywide McGinnis vacancy. Adding both vote totals up, Gonzalez leads with 224,577 votes to Sexton’s 134,524. Bradley R. Trowbridge is also in this race. Another appointed judge, Cecilia Anne Horan holds a commanding lead over Keith L. Spence in the race for the Hartigan vacancy. In the four-way race for the Flanagan vacancy, Judge Preston Jones, Jr. has a nearly 95,000 margin over ASA Amanda Moira Pillsbury, his nearest competitor, in combined City and suburban returns. The polls will finally close in about an hour. The commercials will stop. The phone calls will stop. The increasingly pleading (and annoying) texts will stop. Some very good judicial candidates will win tonight -- but some very good judicial candidates will lose. And it can't be helped: Some very good candidates are running against each other. There will be time for analysis, and maybe even some second-guessing, later. And we're going to have to ask whether increased attention to judicial campaigns has coarsened the process. There was a time -- I think -- when almost all judicial candidates were quite cordial to each other. For one thing, candidates shuffled around like penguins in a nature documentary, going from event to event, not in the same cars, mind you, but always seen together. Part of it was Stockholm Syndrome, or something like it; part of it was just plain common sense. If Candidate Smith won, Candidate Jones might wind up standing before her one day. If Candidate Jones won, Candidate Smith might have to appear in his courtroom. That was my perception, anyway. Maybe I was just naive. I've been paying careful attention to judicial elections -- not as a candidate, mind you, but working this beat -- since 2008. So this is time number six through the process. Maybe I've just gotten to see a little more, a little deeper, into the process, as the years have gone on. I think this campaign may have been a little nastier, a little meaner, than judicial campaigns in past years -- more like other political races. I hope we can talk about that in future posts. But for now, I suggest it is time to stop and salute the considerable efforts of our judicial candidates, and hope that they will be content with, and proud of, their hard work, however things turn out when the votes are counted. What Cook County judicial race are you interested in? What follows is a list of the various Cook County judicial contests. Each vacancy on the list is a link to a roundup post about that race. Voters can navigate back and forth from this post to any linked contest on their ballot. Links for all contested races are now 'live.' Each roundup post has been updated, in some cases multiple times, as new information has come in. Each linked post also has links that will take you to campaign websites, candidate statements, questionnaire responses, bar ratings, and endorsements for each candidate in that race. After you've looked a given race over, a link at the bottom of that post will bring you right back here. I will keep this post at or near the top of this page in the days leading to the primary. Please note that scrolling down this page will not get you to all the Organizing the Data posts. Some are posted on page two of this blog. So, again, what Cook County judicial race are you interested in? It took two years and nearly seven months, from August 21, 2015 until sometime earlier this evening, for FWIW to pick up another million page views. August 21, 2015 is when this blog first topped the million-page-view mark. Tonight, Page One of FWIW crossed the two million page view threshold. I believe Google first started counting page views here in May 2010 -- so it took just about half again as long to get from 1,000,000 to 2,000,000 page views as it did to get from 0 to 1,000,000. That's a lot of eyeballs -- and I'm very grateful. Thank you. In this post, I reproduce the final Alliance grids for contests in Subcircuits 8 through 15. For the final Alliance grids in the countywide races, click here; the final Alliance grids for judicial races in Subcircuits 1 through 6 is available here. In this post, I reproduce the final Alliance grids for contests in Subcircuits 1 to 6. For the final Alliance grids in the countywide races, click here. A post on the remaining subcircuit races will follow shortly. In this post, I reproduce the final Alliance grids in the countywide races. A couple of posts on the subcircuit races will follow shortly. Supporters of Judge Peter Michael Gonzalez's bid to hold his countywide judicial seat have scheduled a "cross the finish line" reception for this evening, from 6:00 to 8:00 p.m., at the Madison Street Theater, 1010 Madison Street, in Oak Park. Persons interested in attending are encouraged to email gonzalez4judge@gmail.com so organizers can provide appropriate quantities of refreshments. In a recent post I mentioned the Illinois Civil Justice League's IllinoisJudges.Net page as a valuable source of information for Downstate voters looking for information about judicial candidates in their home counties. I was soon thereafter reminded that the Illinois State Bar Association also provides information for the public concerning Downstate judicial races and that I should link to that page, too. Which, of course, I have now done. Judge Debra A. Seaton is a candidate for the Willis vacancy in the 2nd Subcircuit. Her punch number is 159. Fairness and justice are important principles to me. These principles motivated my service as an attorney and they undergird my desire to remain a judge. Principles of fairness and justice not only apply in the courtroom as I sit as a judge. They apply to me personally every day of my life. These principles resonant in me strongly because of the many obstacles I have had to overcome. My commitment to fairness and justice for all communities is deeply instilled in my personality and my character. The question I ask myself every day is "Was I fair to both sides?" As a trial attorney in private practice and as a public defender, I fought tenaciously for fairness and justice in trials. I knew that I was the only voice that my clients had. I became their voice; a voice to the voiceless. As a judge, I am a gatekeeper of justice. It is my responsibility to ensure procedural due process and fairness within the bounds of the law. My experience in everything from traffic to death penalty cases; restorative justice, specialty courts, deferred prosecutions, expungements, child support, mandatory arbitration, appeals and other areas of law has grounded me in a keen awareness of procedural due process. My experience has also given me the courage to do the right thing. Injustice remains injustice whenever a person is not willing to make a decision to change it. As Dr. Martin Luther King, Jr. said, "Injustice anywhere is a threat to justice everywhere." I want to remain as a judge to do everything within my power and authority to prevent injustice from occurring in any courtroom in which I preside. Service to others undergirds my desire to remain a judge. Commitment to my community in serving seniors, mentoring and educating our youth is an integral part of being a judge. I have extended that commitment to teaching judges and lawyers in Nigeria and Kenya. Justice tempered with mercy is my judicial philosophy. I always keep in mind both a constitutional and humanitarian desire to restore those who are accused to useful and productive lives in society and to provide procedural due process to all litigants from all communities. Ensuring fairness and justice in our courts– that is why I want to remain a judge. The event is set for tomorrow, March 16, from 6:00 to 9:00 p.m. Former Judge Michael W. Stuttley is co-hosting the event with Judge Hoya's campaign committee. Admission is $25 per person, but sponsorships are available (Host - $100, Sponsor - $250). For more information, email Omari Prince at oprince76@gmail.com. If you've been browsing the Organizing the Data posts here on FWIW, you will note several instances where I tried to link to candidate statements on the Cook County Clerk's website. There's probably some way to bypass this thing, but I haven't found it. And I got frustrated -- and stopped trying to put the links in. But I would like voters to have the opportunity to review candidate statements (even if those candidates did not provide me with In Their Own Words statements) (those, at least, I could link to directly, but whatever). So, here's what you have to do to see the candidate statements on the Cook County Clerk's website: Click here. That takes you to the introductory screen, a portion of which is reproduced above. Choose your party. Scroll down to the candidate in whose statement you are interested. If a candidate's name is not hyperlinked, there is no statement. If there is a hyperlink, at least on a desktop or laptop, the statement will open in a window on top of the candidate list (I haven't tried it on a mobile device yet). Flanagan Vacancy - Preston Jones Jr. 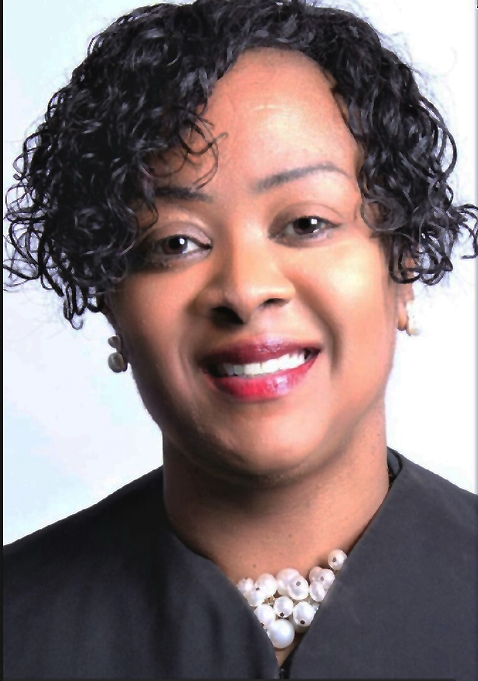 Supporters of Judge Adrienne E. Davis's bid to hold onto the Laws vacancy in the 2nd Subcircuit have planned a party, commemorating the one-year anniversary of Judge Davis's service on the Cook County bench, for Saturday, March 17, from 5:30 to 7:30 p.m., at the Island Bar & Grill, 13414 Olde Western Avenue in Blue Island. Contributions to the campaign will be "appreciated" but no ticket price is specified in the invitation. For more information about the event, email citizens4judgeadriennedavis@gmail.com. The Benchmark PAC for Cook County Judges LLC was established last May. Benchmark's stated purpose, according to the materials filed with the Illinois State Board of Elections, is to promote the election of qualified, experienced judicial candidates. Benchmark PAC now has a website and a voting guide noting all candidates that it recommends for the forthcoming primary (for .pdf list, click here. However, Benchmark has 'recommended' no more than one candidate in each race even though, in at least some races, more than one candidate may meet these criteria. I asked Benchmark's founder, Susana Darwin, whether, under these circumstances, it might be appropriate to consider these recommendations as Benchmark's endorsements. In an email response, Darwin responded, "The definition of 'endorsement' you offer is consistent with my understanding." However, she added, "More than 20 years of evaluating judicial candidates with the Alliance – which has long taken a stern view of characterizing a rating as an endorsement – has probably prejudiced me against the term." Darwin served in different leadership roles with the Lesbian and Gay Bar Association of Chicago and its Judicial Evaluation Committee for 25 years. After LAGBAC joined the Alliance of Bar Associations for Judicial Screening, Darwin served for another decade on the Alliance's executive committee, including two years as co-chair. Full disclosure: In 2008, when I first attempted some systematic coverage of Cook County judicial elections, Darwin was one of my very first regular readers and commenters, for which I remain grateful. According to Dr. Albert Klumpp, who has done my leg work for me on this one, all five Republican township Republican organizations that fall within, or partially within, the 12th Subcircuit have endorsed David Studenroth for the Republican nomination for the Maki vacancy. In the 13th Subcircuit, all five Republican township organizations (Hanover, Wheeling, Schaumburg, Barrington and Palatine) show Daniel Patrick Fitzgerald as their endorsed candidate for the Lawrence vacancy, according to Klumpp. Four of the five townships have also endorsed Gary William Seyring for the Crane vacancy. According to Klumpp, the Palatine Township Republicans made no endorsement, as neither Seyring nor Susanne Groebner received the necessary 60% vote of the membership. On the Democratic side in the 12th, Klumpp reports that the Democratic committeemen in New Trier and Northfield Townships have endorsed Joel Chupack, while committeemen in Elk Grove, Wheeling, and Maine Townships have made no endorsement. Supporters of Judge Marina Ammendola's bid to hold her 14th Subcircuit seat have launched a campaign website. That's a link to the site in the preceding sentence; a link has been added to the blog Sidebar as well. Her campaign bio stresses her "27 years of legal experience as personal injury lawyer, Guardian ad Litem work, Child Advocacy work, along with her teaching experience" as the "foundation for her knowledge, skills, and judgment that are essential to serve as a Judge." (Ammendola taught literature and history for five years before embarking on her legal career, according to her response to the Tribune's candidate questionnaire. I am updating the Organizing the Data post on this race with this new information. Last August I reported that the Democratic Party's 10th Subcircuit committeemen had unanimously endorsed Colleen Reardon Daly and Judge Stephanie Saltouros for the Suriano and O'Neill Burke vacancies respectively. 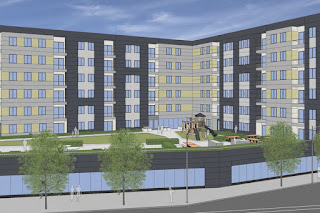 The development in question, slated for 5150 N. Northwest Highway, has been scaled back from 100 to 75 apartments, according to this February 8 article by Jay Kozlarz on Chicago.Curbed.com. Whether the 5150 project is good or bad is beyond the scope of this blog. But, even if scaled back to 75 apartments, the project will concentrate a lot of apartments in an area where single family homes are most common, with maybe a sprinkling of two-flats (not all of them legal) or the occasional six-flat. Ald. Arena is the enthusiastic sponsor of the project -- and some of his Jefferson Park constituents, many of them current or former Chicago police officers, are just as vehemently opposed. So that's part of the background. Arena narrowly defeated a Chicago policeman (lawyer John Garrido, now also a Chicago Police lieutenant) to win his seat on the City Council in 2011 (the margin of victory was only 30 votes; see, Garrido v. Arena, 2013 IL App (1st) 120466, ¶3). Arena bested Garrido again to win reelection in 2015 (by a more comfortable margin on this occasion). Garrido enjoyed considerable support in both campaigns from his neighbors and fellow laborers in the CPD vineyard. It wold be remarkable if Mr. Arena did not see his CPD constituents as something of an opposition bloc on this basis alone. 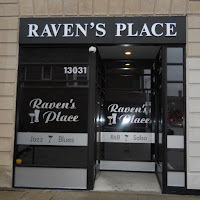 The 45th Ward alderman said his office had presented the City Hall inspector general's office with numerous examples of people identifying themselves as police officers in their online profiles or appearing in profile photos in police uniforms while using "racially charged language" to oppose the building on social media. The inspector general's office told Arena to take the complaints to COPA because it potentially involved police officers. Arena said he didn't do any kind of investigation of whether the 31 are, in fact, police officers, saying "that will be up to COPA." His office declined to provide examples of comments it forwarded to COPA, citing the ongoing investigation. Again, whether all or only some of the comments referred to COPA for investigation were "racially charged" is beyond the scope of this blog. Since all of the statements forwarded to COPA have not been made public, we can't form an opinion in this regard. However, assuming the Tribune article is accurate, some online comments were unquestionably "racially charged." And that's being polite. But we can't even say that the persons tendered to COPA for investigation are police officers. We can't say that because Ald. Arena hasn't said so specifically and there's no information about these complaints -- at least not that I could find today -- on the COPA website. So let's move on. And for the twenty or thirty comments telling us about how Daly is married to a copper, has cop relatives, worked for FOP, defended more coppers than anyone knows, good for her. It gives her insight into the trials and [deleted] we all face on a daily (pun intended) basis. We need our own in the system. So why throw it away claiming (and later deleting) the endorsement of an [deleted] who caused complaints to be filed against almost two dozen firefighters and thirty-one cops - some of whom might have worked with her husband, family, or might even be her neighbors - that may potentially cost them suspension time, merely for expressing their opinions? Is the bench that important that you have to associate, however slightly, with someone who despises everything your husband and family stand for? Look, SCC, any successful political campaign requires the building of a winning coalition. In the law, coalitions might be considered analogous to joint ventures, not partnerships: temporary alliances for a limited, specific purpose. The components of the judicial candidate's coalition need agree only that Smith or Jones would make a fine judge; they need never again agree on anything else. Coalitions may become permanent alliances, but the judicial candidate can not worry about that: If the coalition coalesces, just once, on Primary Day, it will have served the judicial candidate's purpose. Building a successful coalition is harder for a judicial candidate than for other types of political candidates: A judicial candidate can not promise to do anything for anyone. Supreme Court Rule 67A. (3)(d)(i) expressly prohibits a judicial candidate from making "statements that commit or appear to commit the candidate with respect to cases, controversies or issues within cases that are likely to come before the court." What a judicial candidate can do is to cultivate a reputation for fairness and integrity so as to earn the trust and support of persons who would not otherwise agree on the color of the sky. Daly might not have gotten elected, even with Ald. Arena's backing. She may yet be elected, despite Arena's endorsement switch. I have no prediction and no rooting interest. But her case presents a real-world illustration of the perils faced by a judicial candidate trying to build a winning coalition.